For the first time, organisations working on child rights, refugees and migration met to discuss child immigration detention in South East Asia, and to highlight the need for more orchestrated work to promote alternatives for children in the region. 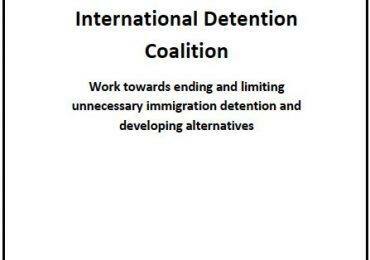 Co-organised by Terre Des Hommes, Save the Children, the Asia Pacific Refugee Rights Network and the International Detention Coalition, the meeting took place on 23 September 2016, on the margins of the 6th Asia Pacific Consultation on Refugee Rights (APCRR6). The regional meeting was intended as a platform for child rights, and migrant and refugee rights organisations working in South East Asia to come together to discuss opportunities for joint advocacy and programmatic work towards developing and implementing alternatives for children. During the meeting, participants examined the child detention context in South-East Asia, as well as efforts already underway to develop and implement alternatives to detention for children in the region. Key opportunities to advocate for alternatives at the global and regional level were also discussed. The civil society members present at the meeting shared their experiences advocating on the issue as well as implementing pilots, and committed to exploring ways that the groups could continue to work together going forward. Reflecting a broad lack of regional human rights mechanisms, the Asia Pacific Region is lagging behind in terms of regional commitments towards ending child detention. 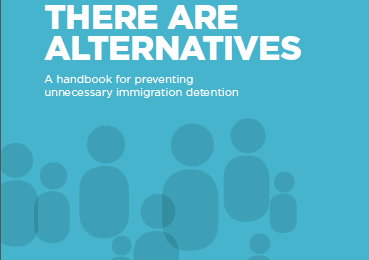 Europe, the Americas and sub-regions in Africa have all committed to exploring alternatives to detention for children, but this work is still in early stages of development in the Asia Pacific Region.